Billions were tuned into the final match in the World Cup between Germany and Argentina. I can see why some consider soccer a dangerous sport because I almost passed out while watching it. Well, more like dosed off. I'm sure it is fascinating to some, because it is considered the number one sport in the world, it is just not my cup of tea. However, I did pick up on some pointers from the World Cup that can be applied to business. 1.) Delegate the details. With so much activity surrounding the World Cup, if the details aren't addressed, chaos can ensue. Instead of trying to manage every portion of the game, the stands, the media, the travel, etc. World Cup officials put point persons in charge of various segments of the event. Every point person reported back to the head organizer. The same should apply to your business. Instead of working on all the details, which will eventually lead to the death of your business, delegate areas of concern in your business to others. After you've delegated it, leave it alone. Trust your people. 2.) Winning is not everything. Brazil was trampled by Germany. Brazil knew they would win. Their fans knew they would win. However, not only did they lose, but Germany embarrassed them with a score of 7 -1. That is a big margin in soccer, but Brazil will continue to dominate future matches using what they've learned in this World Cup. They will be on top again because the players, coaches and managers will review films, dissect plays, and improve on conditioning for future world matches. 3.) Keep your team energized. Every team participating in the World Cup wanted to win, but all during the waiting and anticipation, the team leaders kept their players loose and motivated. This can be a daunting task as the personality of each player must be in tune to the goals of the team and a clear-cut direction of the mission must be restated whenever possible. Players can lose perspective and get distracted with all of the hype surrounding the World Cup. The same is true with your business. Distractions abound and without a repeated statement of vision and mission, team members can lose focus. Like the World Cup, your business is in a competition on a daily basis. You are fighting for contracts competing against others in your industry; you are fighting to ensure that all of the details of your business are addressed; and you are fighting to keep your team energized and focused. 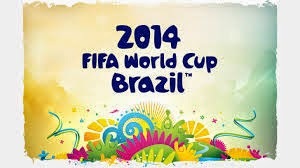 The major difference is that the World Cup is once ever four years and your business is in it to win every day. Make it a point to address these three key areas and remain in the winning game.